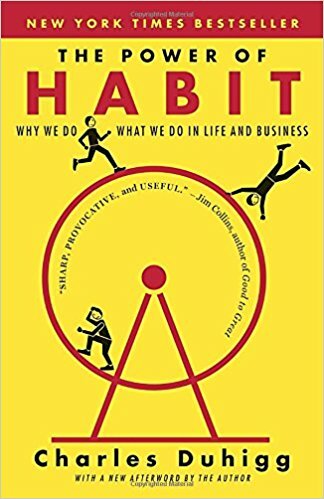 I am loving this book, The Power of Habit. It's making me rethink all of my routines and rituals, wondering how I can harness them up to hone in on things I want to change and accomplish. 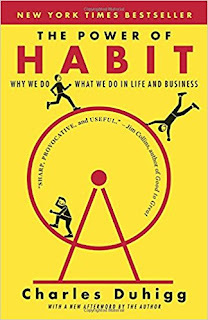 It's a very easy read, and I've been reflecting as I go through the book on positive habits I've succeeded in installing (flossing, housecleaning, planning), and negative habits I want to ditch. It's the whole idea of changing your course by a single degree, to find yourself miles away from where you would have been. Exciting, and perfectly time for a new year! Interesting book I bet. I am finding that my rituals are going to have to change. I have become much more lax in my work at home and I need to get the fire going again. I'm going to check this book out of the library! Really pleased my library has this book. I'm intrigued. I like that book too! I would also suggest Gretchen Rubin's book Better than Before. It's all about habits too.